Our Scoil Thomáis class is on Castleknock Vale and is really close to Castleknock Community Centre. Other landmarks in the area are Castleknock Day Nursery & Montessori School and Church of St Thomas the Apostle. 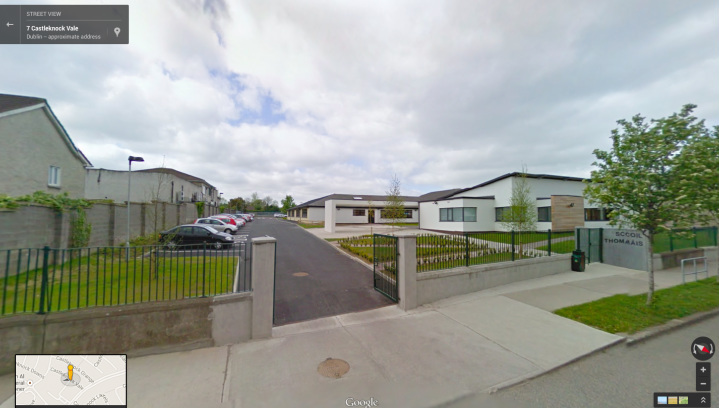 This is the entrance to Scoil Thomáis, accessed from Castleknock Vale. Drive trough the gates (or park on the road) and our dance classes are in the gym hall, accessed through the side door on the right of the building. 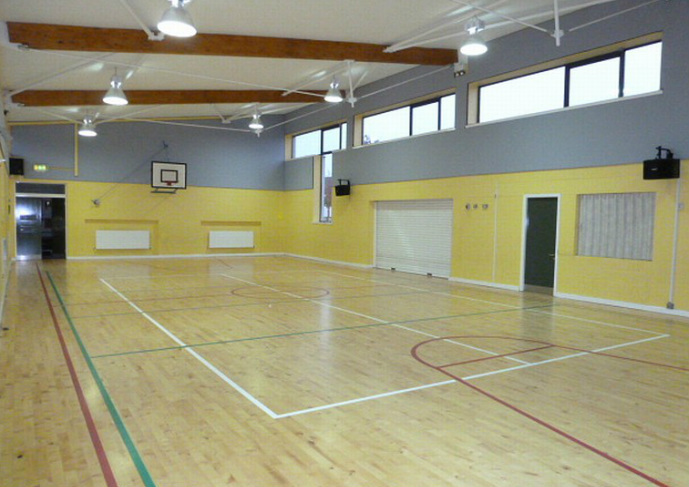 Gym Hall in Scoil Thomáis - this is a lovely big space where our Irish Dancing lessons take place.